Maria Radutu's solo career has included a debut in the Musikverein (Vienna), performing Rachmaninoff's Second Piano Concerto; a performance of Mozart's Concerto in A minor (KV414) with the Vienna Chamber Orchestra in the Salle Gaveau (Paris); a debut in Madrid's Auditorio Nationale with the Orquesta Clasica Santa Cecilia with a performance of Richard Strauss' Burleske and a tour to Asia with the Vienna Radio Symphony Orchestra and Cornelius Meister. Insomnia is my music of sleepless nights. It includes music by Scriabin, Fauré, Sibeilius and others. Collaborators on the album were Klemens Sander, Margareta Ferek Petric, Laurenz Sartena, Christoph Cech, Clemens Salesny, Georg Burdicek, Alex Gelehrter, and Catalin Orezeanu. 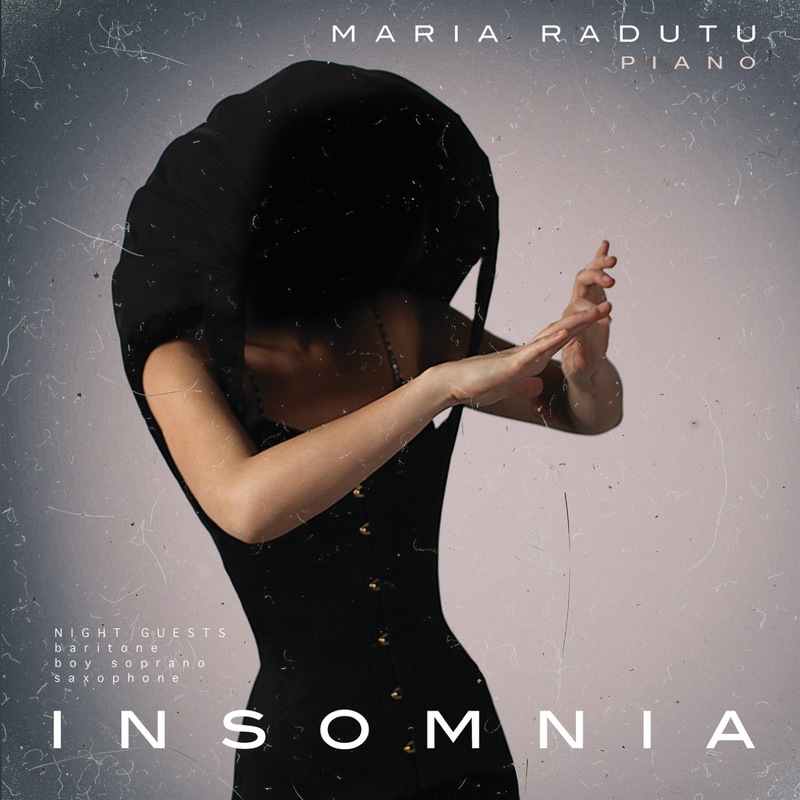 Much in demand as a soloist and chamber musician, Austrian-Romanian pianist Maria Radutu has performed throughout Europe and Asia and has won more than twenty national and international awards. Maria Radutu’s solo career has included a debut in the Musikverein (Vienna), performing Rachmaninoff's Second Piano Concerto; a performance of Mozart's Concerto in A minor (KV414) with the Vienna Chamber Orchestra in the Salle Gaveau (Paris); and a debut in Madrid’s Auditorio Nationale with the Orquesta Clasica Santa Cecilia with a performance of Richard Strauss’ Burleske. Radutu’s versatility has also been proven by several collaborations as a guest pianist with the Vienna Philharmonic Orchestra. Maria Radutu is the artistic director and co-founder of the chamber music ensemble, PhilKlangWien. PhilKlangWien’s successful debut at the Wiener Konzerthaus was followed by the invitation for Radutu to become the artistic director of the 'Kontrapunkte' festival in Lafnitz (Steiermark). With PhilKlangWien as „Ensemble in Residence,“ Maria Radutu founded the SoundGarden Chamber Music Festival. She has also performed at the Carinthian Summer Festival, the Neuberger Festival, the Halbturn Palace Concerts, the Pannonic Forum Kittsee, the Al Bustan Festival and in Festispielhaus Baden-Baden. Together with Lang Lang and Dominik Hellsberg, Maria Radutu took part in the opening festivities of the Mozart Year in Vienna as well as in Carnegie Hall. Born in 1984 in Bucharest, Maria Radutu was quickly recognized as a prodigy. In 1998, while studying at the George Enescu Music High School, Radutu won the Gold Medal at the National Olympics, considered the most important Romanian award for young musicians. Maria Radutu continued her studies at the Vienna University of Music with professors Stefan Vladar and Stefan Arnold. Radutu received her bachelor's degree with honors, followed by the Benjamin Prize for the best and youngest candidate, and completed her education in 2010 with the Concert Diploma. Maria Radutu’s Debut CD „Joujoux“ was released 2013 by Preiser Records with works from Chopin to Ligeti.